Conares’ Jafza facility ... expanding. As part of its silver jubilee celebrations, Conares, one of the largest private steel manufacturers in the region, announced that it is boosting manufacturing capacity at its facility in Dubai, UAE, to one million tonnes. 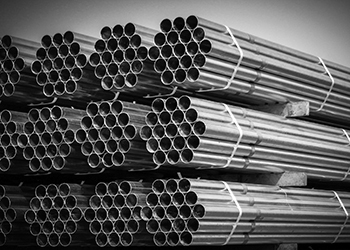 Spread over 1.5 million sq ft in Jebel Ali Free Zone (Jafza), company’s state-of-the-art steel plants currently manufacture steel pipes and rebar, which command some 20 per cent of the UAE rebar market share and cater to 25 per cent of the total pipes market demand in the region. According to Bhatia, the company is on track to complete the Dh100-million ($27.22 million) expansion of manufacturing capacity for steel pipes currently under way in Jafza. “The expansion is aimed at serving the domestic market as well as exploring export opportunities. The new line is expected to be commissioned by the fourth quarter of the current year. This will help us meet the demand for infrastructure developmental activities ongoing in Dubai to prepare for hosting Expo 2020,” he says. Ibrahim Al Janahi, deputy CEO of Jafza and chief commercial officer of Economic Zones World, indicates that the construction sector – which includes the iron and steel industry – is one of the most important business segments in Jafza. “The total trade generated by the sector crossed $5.6 billion in 2013. Around $3.45 trillion worth of projects are in the design, bid or construction stage until 2025 in the Middle East. “The World Expo 2020 in Dubai and Fifa World Cup 2022 in Qatar have provided a further boost to infrastructure spending in the region. Of the $1.80 trillion worth of real estate projects under construction in the GCC up to 2025, the UAE tops the list with projects worth $940.55 billion in the design, bid or construction stage. Saudi Arabia is second on the list with $461.21 billion worth of projects. We would like Conares to capitalise on these emerging opportunities,” Al Janahi says. Jubilee celebrations ... Shaikh Ahmed (centre) and Bhatia (right) with dignitaries. As such, the rapidly growing demand for construction materials including iron and steel opens huge opportunities for Conares not only in the UAE but the entire region that Jafza as a hub serves, he adds. Al Janahi says Conares has grown hugely in the last 25 years carving a name for itself as a market leader in the manufacturing of pipes. “It is today considered one of the largest steel manufacturers in the region. Conares’ remarkable success can be attributed to the prudent marketing strategies they have followed over the years. We are fully committed to provide all support needed to enable them to continuously achieve even better growth in the coming years,” he says. Bhatia says over the last 25 years of operations, Conares has crossed significant growth milestones in the steel industry. “It has been able to achieve such exponential growth because of the trust it has built among its stakeholders in the region and beyond. Our abilities to identify and respond to the challenges and needs of the industry are far more sharpened as we achieve this 25th anniversary milestone,” he remarks. The company also aims to join hands as partners in India’s growth story. “Leveraging the signs of economic boom, we are eyeing opportunities for steel export to India catering to the new smart city and industrial cluster projects in difference parts of the country,” he says. Conares has had a long and inspiring journey of success that dates back to three decades. The company has evolved from a traditional singular proprietor trading outlet in the mid-1990s to a structured manufacturing company at present. In 2000, Bhatia acquired a large plot of land at Jafza where it set up a steel trading centre. The plot was located near the port, which helped Conares run the business successfully. 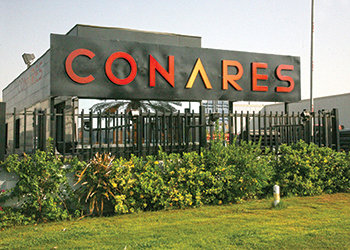 It is here that Conares built its new office, storage facility and later added the steel manufacturing plant for ERW (electric resistance welded) pipes in the first phase. Its first production line was inaugurated in 2005. The plant, which produces small-diameter pipes and tubes, later added capacity for steel rebar in 2011. Conares products ... Cares certified. Since its establishment, Conares has systematically driven forward its robust development strategy, with a focus on delivering the highest quality products to projects in different industry segments and on meeting the rising demands in the regional markets. It has been able to implement the changes and adapt new strategies in line with the market conditions. Having built extensive partnerships with renowned steel plants across the world, it brought the world-best competencies to the region, by setting up its own state-of-the-art manufacturing facilities in the UAE. Conares today is the premier producer of quality steel products for wide-ranging needs and has earned various international product certifications for its various steel products. Meanwhile, its ongoing efforts to streamline its manufacturing operations to be safe for its employees and the community have earned the company its sustainability certification from the UK Cares Sustainability Scheme. From its central location in Dubai, Conares serves an extensive network of clientele including pre-engineering companies, steel trading companies and construction majors not only in the Middle East but across wider markets that are easily accessed from its headquarters. Led by a team of experienced and skilled professionals, Conares today employs more than 500 people. 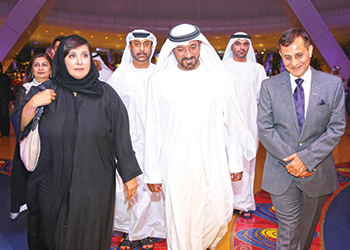 The region’s leading provider of downstream steel products marked its 25th anniversary at a special ceremony in May, held in the presence of Sheikh Ahmed bin Saeed Al Maktoum, president of the Department of Civil Aviation, CEO and chairman of Emirates airline and group, chairman of Dubai World and chairman of Dubai Airports. Also present at the ceremony were TP Seetharam (Indian ambassador to the UAE), Salma Hareb (CEO of Jafza and Economic Zones World); Ibrahim Mohamed Al Janahi (deputy CEO of Jafza and chief commercial officer of Economic Zones World), and other dignitaries and guests.